Are you looking for good handbags for yourself? Then, continue reading the post as we have brought the best handbag brands of all time. The handbags of these brands are of high quality and luxurious too. You can visit the online stores of these popular handbag brands and select the best handbag for yourself. This American brand provides customers with affordable luxury. This brand has dominated the handbag market with its high-quality leather, timeless designs, remarkable stitch work, and exceptional craftsmanship. This brand is very old and it continues to wow customers even today with its classic offerings like Signature and Legacy. The Rogue and Swagger collections are the newer additions. Coach was ranked #1 as the most popular designer brand in the Closet sharing economy report shared by Poshmark which is the San Francisco-based site that allows people to buy and sell gently used handbags, shoes, apparel, and jewelry. There are both types of customers which see quality over quantity and the vice versa too. Coach handbags are suitable for both. The handbags range from about $300 to $1500 at full retail and are sold at Coach.com, Coach stores and in major departmental stores. It is a 160-year-old French company that started off creating canvas travel cases and luggage pieces. One of the most iconic designs of the brand is Speedy. Speedy was designed for Audrey Hepburn in 1965, which subsequently became one of the brand’s signature styles. After Marc Jacobs took the reigns as creative director in 1997, the brand very soon became a famous luxury handbag brand. Many people give the credit of transforming the brand from a luggage icon to a world-class, luxury handbag brand to Marc Jacobs. On the Poshmark list, LV currently ranks as the #2 selling brand. Some of the core styles of the brand include the Neverfull and the Alma bag. The brand has become popular for creating fresh new looks every season and the credit goes to the young design staff. The classic brown canvas with the LV monogram is one of the most popular ones. You can also see the leather and Vernis leather in prints and solid colors. These Trending Handbags brands are favorite amongst celebrities like Angelina Jolie and Beyonce. The brand is so beloved of everyone that the demand usually exceeds supply. The price of these handbags ranges from around $1,700 to $5,200 or more depending on the style. They can be bought in LV boutiques and online at the Louis Vuitton website. Marc Jacobs who is an accomplished ready-to-wear and menswear designer launched his own handbag line in 2000. This brand continues to oversee both Louis Vuitton and his own brand. 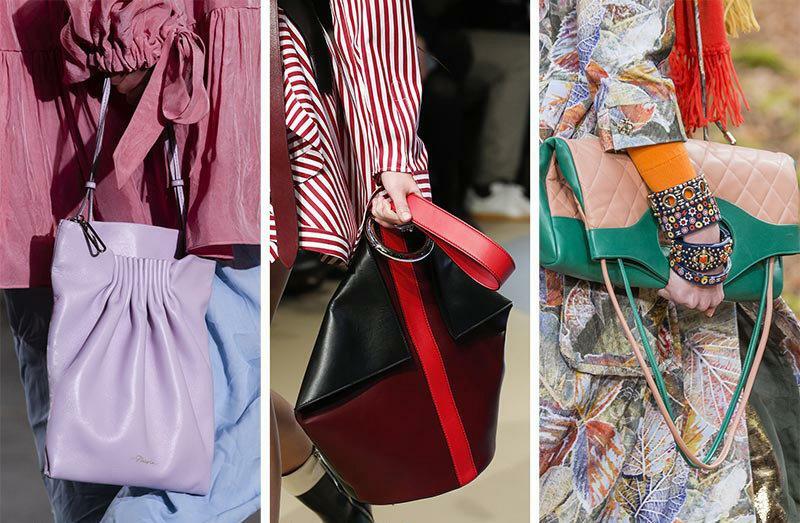 Though, Marc oversees his own line and Louis Vuitton, the handbags of both the brands are inherently different. The handbags of Marc Jacobs are elegant yet casual, and upscale. The 16 to a 40-year-old woman with a New York sense of style are targeted by Marc of Marc Jacobs. Some of the most popular bags of this brand are Recruit, Nomad, and Gotham. The price of these bags are from $600 to $10,000 and can be purchased at one of the 14 Marc Jacobs free-standing stores, at fine department stores, or at MarcJacobs.com. Michael David Kors made his fashion debut in 1981 by launching the first-ever women’s apparel line. He has solidified himself as a truly gifted American designer time and time again. His handbag collections burst onto the scene in 2001. Today, the handbags of this brand can be found all over the world. The brand is typically “on the best sellers page” for Zappos.com and ranks #3 according to Poshmark’s Closet Selling Report. The handbags of this brand are marked by clean lines and are both chic and luxurious. The price range of the handbags is from $300 to $3000. This famous brand has its origin in Italy. It has a rich 90-year history of high fashion, quality, and opulence. It also started as a family-owned luggage company just like its competitor, Louis Vuitton. This brand is even trusted by Queen Elizabeth, Elizabeth Taylor, and Jacqueline Kennedy Onassis and so it became a symbol of wealth very quickly. The handbags of Gucci can be purchased from around $800 to $4,000. 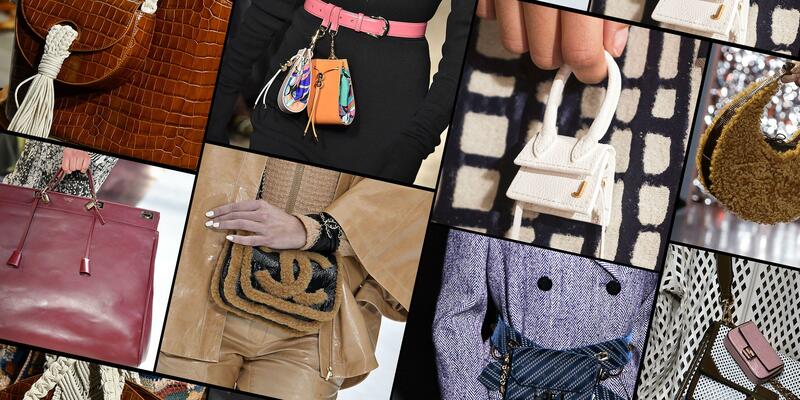 So, here were the popular handbag brands that are all-time-favorite. Visit the online stores of these brands and get the best handbag for yourself! Awareness Can Be the Difference Between Life and Death: What Are the Top 5 Safety Hazards of the Coal Mining Industry? How Can I Get Some Cools Font For Instagram?